Here we post news about the research, activities, and publications of our Officers, Trustees, Associates, Advisers, and Volunteers. We gladly celebrate their accomplishments with the wider world. With the approval of our proposed sponsored and co-sponsored Sessions for the 2019 Congress, to take place in May, we issue the Call for Papers (CFP). Please send your proposals for papers to the Session organizers, as described in that CFP. 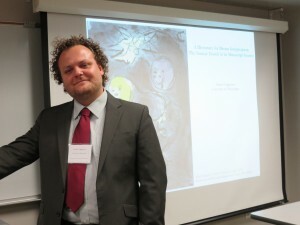 We gladly report the successful accomplishment of the 2018 International Congress on Medieval Studies, held in May 2018 at Kalamazoo, Michigan. We had 5 Sponsored and C0-Sponsored Sessions, a Co-Sponsored Reception, and an Open Business Meeting. See our 2018 Congress Report, with illustrations, Posters, and Abstracts of Papers. We prepare a Behind-the-Scenes Report as well. 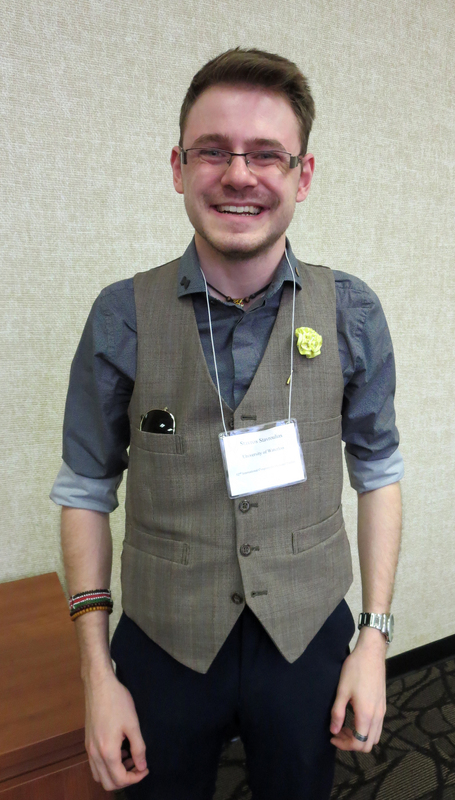 With the organizational skills of our Associate Justin Hastings, we prepare for the 2018 Convention of the Midwest Modern Language Association (M-MLA), to be held in November at Kansas City, with a Sponsored Permanent Panel. 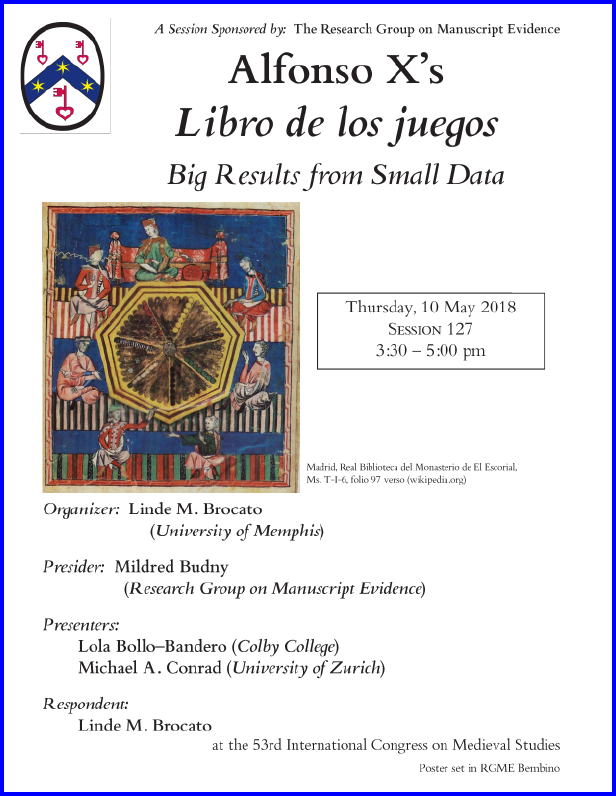 See our 2018 M-MLA Call for Papers. This time, our Panel addresses the theme of “Consuming Cultures and Manuscript Evidence”. Watch This Space. We launch the next version of our multi-lingual digital font Bembino: Version 1.5 (April 2018). The accompanying Bembino Booklet describes the aims and purposes of the font, with font tables and specimens of texts in various languages. Responding to requests, the series of Versions of Bembino add more languages and more features. Version 1.4 was launched on 2 April 2017. Version 1.5 was launched on 14 April 2018. 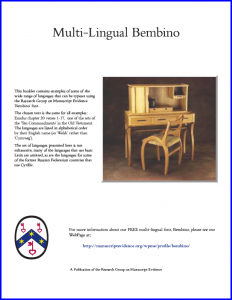 This new version includes, for example, Ethiopic by special request. Thus it extends the usefulness of the font beyond the diacritics for Ethiopic — which, also by special request, Bembino has included from its very first issued Version (1.0). Both the font and its accompanying Bembino Booklet are available for FREE on our Bembino WebPage. As always, we welcome suggestions and requests. Please Contact Us. 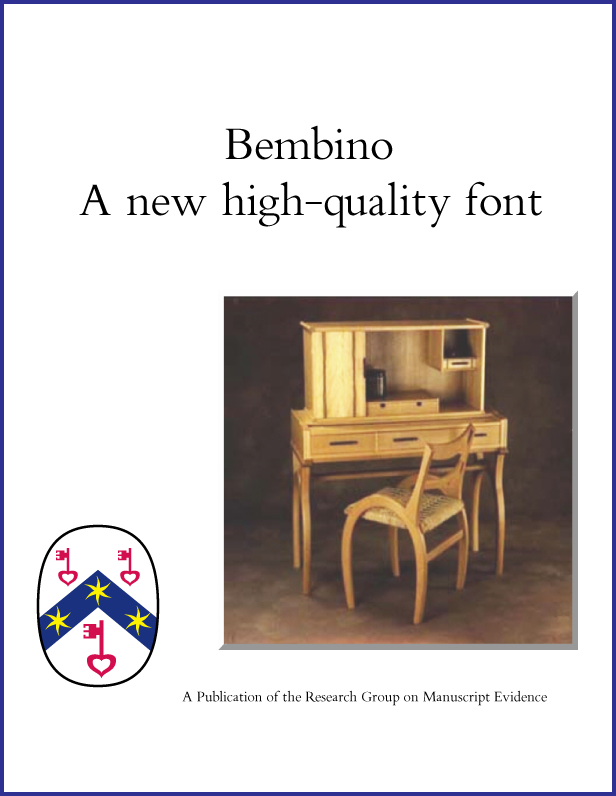 We also offer a new booklet (March 2018) for Bembino, to stand alongside the “Bembino” Booklet which describes and illustrates the Font. The new Booklet illustrates Multi-Lingual Bembino, as it shows examples of the font typeset in multiple languages. In 24 pages, this new booklet contains examples of some of the wide range of languages that can be typeset using the Research Group on Manuscript Evidence ‘Bembino’ font. The chosen text is the same for all examples: Exodus chapter 20 verses 1–17, one of the sets of the ‘Ten Commandments’ in the Old Testament. The exemplified languages appear in alphabetical order by their English name (so ‘Welsh’ rather than ‘Cymraeg’), from ‘Afrikaans’ to ‘Yoruba’. Many of the languages that use basic Latin are omitted, as are the languages for some of the former Russian Federation countries that use Cyrillic. More about this booklet, available for FREE, here. We begin to plan for our Anniversary Year in 2019, when the Research Group on Manuscript Evidence will celebrate its 20th year as a nonprofit educational corporation, and its 30th year as an international scholarly organization. 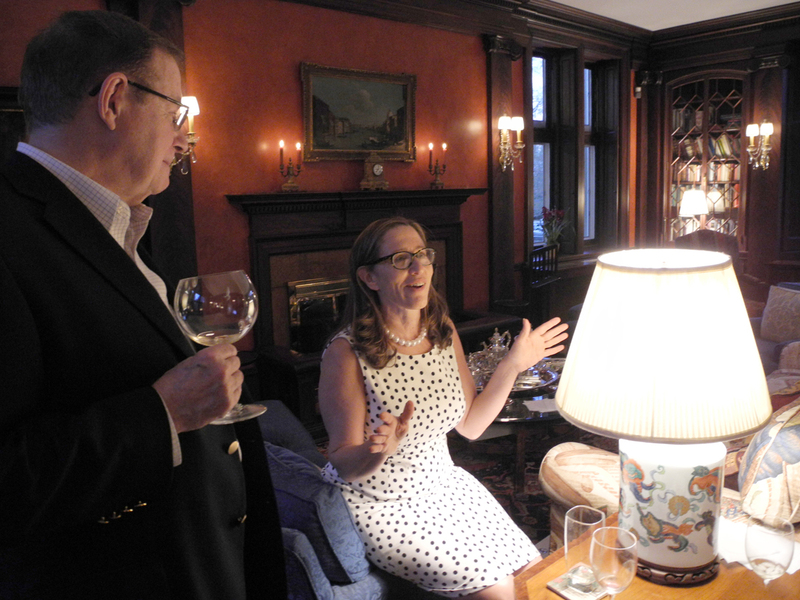 The styles of our Anniversary celebrations are worthy of recollection: As here, here, and here. We welcome suggestions, requests, and contributions. Please join us and Contact Us. As 2017 drew to a close, we recollected our accomplishments over the year in a “Countdown to 2018”, as a series of posts on our Research Group FaceBook Page, Part I to Part IX. We celebrate these accomplishments and heartily thank our organizers, donors, hosts, sponsors, trustees, associates, contributors, and volunteers. Preparing for 2018, the end-of-year 2017 Annual Appeal Letter describes our activities, goals, requirements, and wishes for donations in funds and in kind. This year, for the first time, we also held an Appeal online through our Director’s Giving Tuesday Fundraiser. We thank all our donors for their contributions. Both the funds and the encouragement give much inspiration. You might donate easily though our Contributions and Donations. You know, your donations to our nonprofit educational corporation may be tax-deductible. We thank you for your help! More Honorary Associates have joined the Research Group in 2017 and 2018. See the updated list below and the full list among our Officers, Associates, and Volunteers. 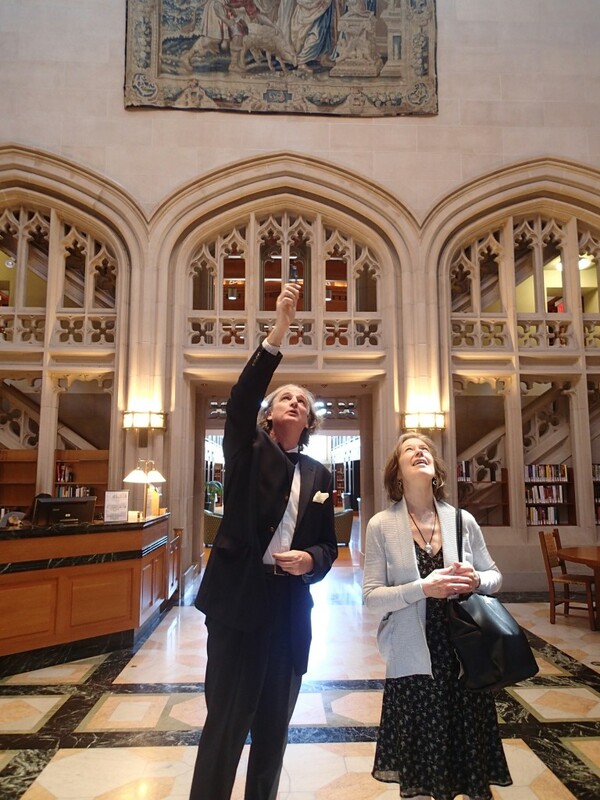 a published catalogue illustrates and describes the collection: Raymond Clemens, Diane Ducharme, and Emily Ulrich, A Gathering of Medieval English Manuscripts: The Takamiya Collection at the Beinecke Library (Yale University, 2017). 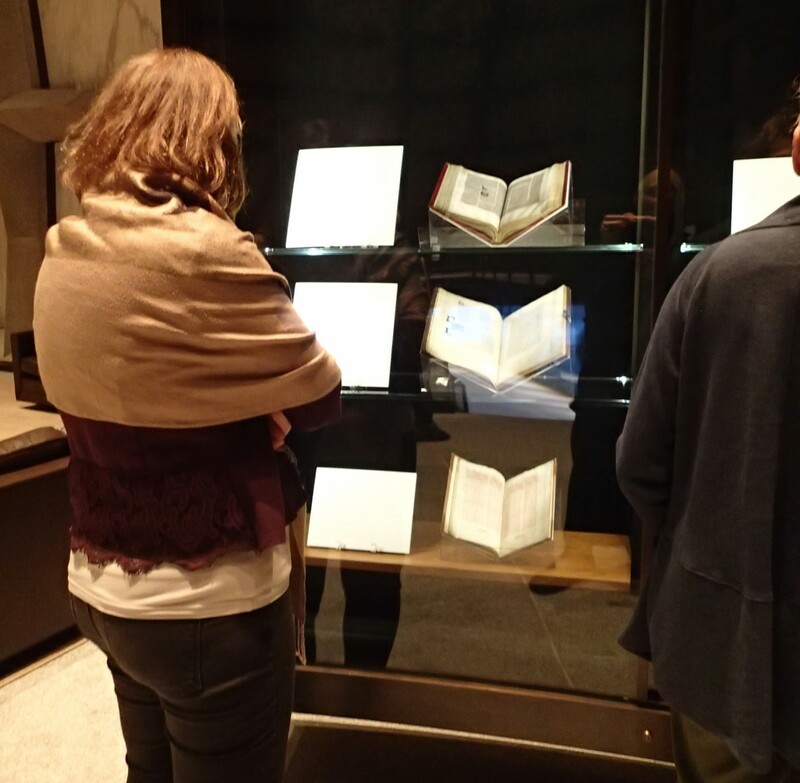 It is a special treat to see both on display at the Beinecke and in the exhibition Catalogue the very Takamiya fragments which, with Toshi’s characteristic generosity, visited the Parker Library and served as focus for our 1994 Seminar on “Medieval Manuscript Fragments”. 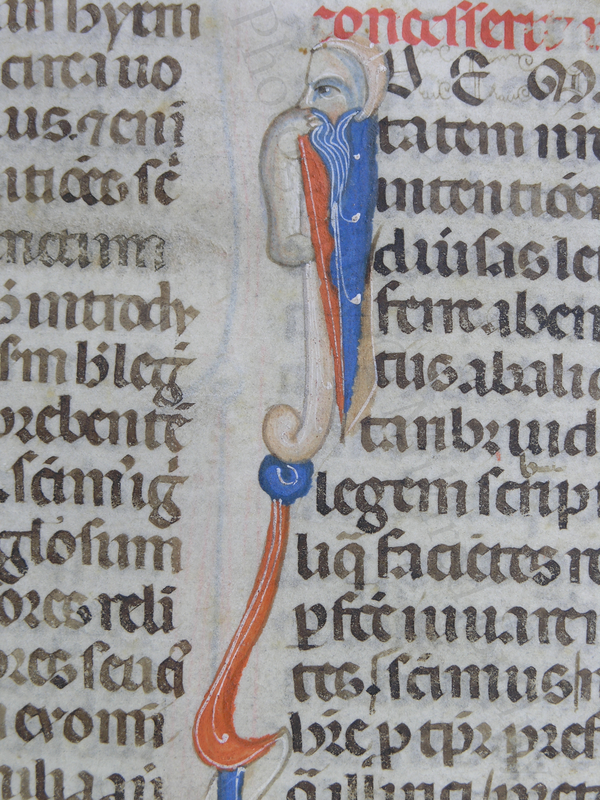 For example: Takamiya MSS 21, 89, and 90 (described and illustrated by Clemens et al., pages 36–37 and 42). We look forward to learning more from the Takamiya Collection Conference. We celebrate transitions, accomplishments, awards, publications. 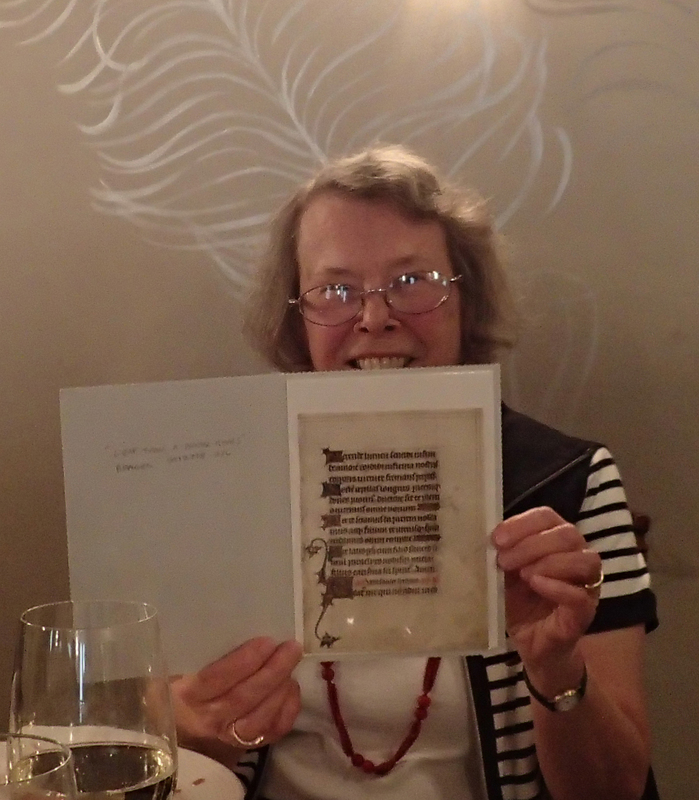 Congratulations to our Trustee Adelaide Bennett Hagens upon her retirement on 1 July 2016 from the Index of Christian Art at Princeton University. With thanks for her contributions to the Research Group on Manuscript Evidence as a faithful Trustee, we now present a Page on our website devoted to reporting her list of publications and interests: Adelaide Bennett Hagens. We look forward to the next stages of her research. 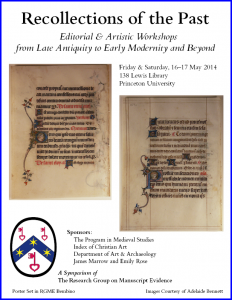 Congratulations for the 2 Sessions in Adelaide’s honor, organized by the Index of Christian Art at Princeton University, at the 52nd International Congress on Medieval Studies in May 2017. Details and some pictures in our 2017 international Congress on Medieval Studies Report. And now congratulations also for the publication of the collection of essays as Tributes to Adelaide Bennett Hagens: Manuscripts, Iconography, and the Late Medieval Viewer, edited by Pamela A. Patton and Judith K. Golden (Tournhout, Belgium, 2017), including essays by some Research Group Trustees and Associates. Congratulations also to our Trustee Richard K. Emmerson for the Sessions in his honor at the 52nd International Congress on Medieval Studies. See, for example, our 2017 International Congress on Medieval Studies Report. Congratulations to our Sponsor, Emily Rose, for the Ralph Waldo Emerson Award of The Phi Beta Kappa Society for her first book, The Murder of William of Norwich: The Origins of the Blood Libel in Medieval Europe (Oxford University Press, 2015). The Ralph Waldo Emerson Award honors “scholarly studies that contribute significantly to interpretations of the intellectual and cultural condition of humanity, including works in the fields of history, philosophy and religion as well as such fields as anthropology and the social sciences.” Previous winners include such eminent authors as Richard Hofstadter, Howard Mumford Jones, Peter Gay, Eugen Weber, Elizabeth L. Eisenstein, Peter Brown, Carl N. Degler, Gordon S. Wood, Caroline Walker Bynum, Jill Lepore and David Nirenberg. 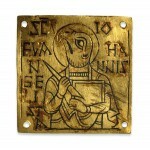 Currently Emily is Visiting Scholar in the Program in Medieval Studies at Harvard University. Her generous hospitality and sponsorship for Research Group Events over the years are recorded gladly on many pages of our website. One of the many happy occasions is the 2014 Anniversary Party. We look forward with great interest to the next stages in her research, including her next book. 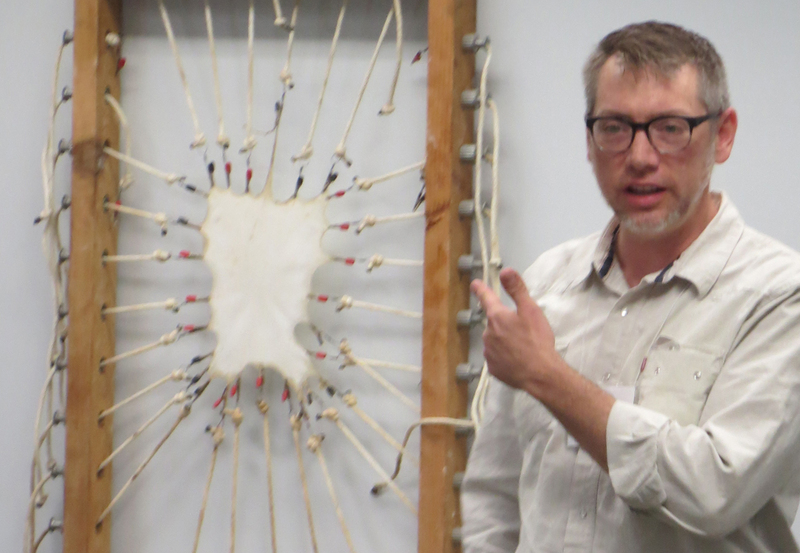 Congratulations to our Associate, Prof. Timothy C. Graham, for his 2016 CARA Excellence in Teaching Award from the Medieval Academy of America! We first met Tim when he arrived as the Research Assistant for the 5-year Leverhulme Trust Research Project on ‘Anglo-Saxon and Related Manuscripts’ at the Parker Library of Corpus Christi College, Cambridge (1989–1994). As one of the Founder Members of the Research Group on Manuscript Evidence, which emerged from that Project, Tim generously contributed his dedication and expertise to the intensive research process and its many discoveries. We admire his progress over the years as scholar, colleague, administrator, and teacher, and express good wishes for his every endeavor. The first in a Series of Interviews for our website invites our Associate Leslie J. French to describe the steps through which our distinctive design approach developed. His designs are responsible for, among many other things since the beginning of our organization, most of our Publications (but not our website, the donation of our Webmaster). They include our Logo, the Illustrated Catalogue of Insular, Anglo-Saxon, Anglo-Norman Manuscript Art at Corpus Christi College, Cambridge, our Illustrated Bulletin ShelfLife, our Style Manifesto, our Posters and Program Booklets, and our copyright multilingual font Bembino. That this font, and the other designs, are his donation to the Research Group, is subject for our thanks and celebration. Responding to a set of questions, Leslie decided to present the responses in printed form, in a booklet set in our font and with our design principles. The interviewer’s description presents the Interview with Our Font and Layout Designer. Enjoy! 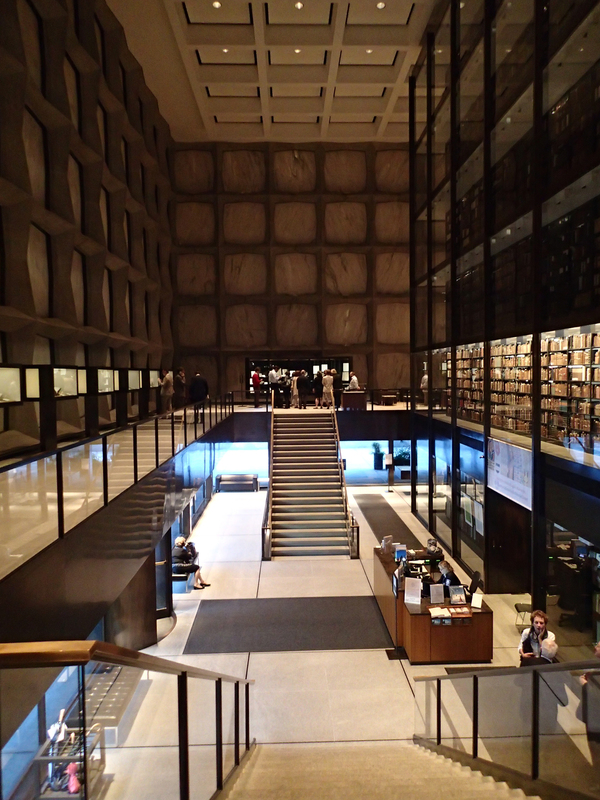 A radio interview with our Director airs on Wednesday, 12 October, on The Library Café, hosted by Thomas Hill, Art Librarian of Vassar College. The series can be heard live on WVKR FM 91.3 Wednesday afternoons between 12:00 Noon and 1:00 p.m. ET (17.00-18.00 GMT) during the academic year. 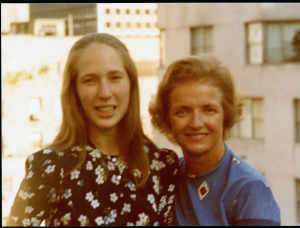 Delighted to join Tom’s series, our Director reflects on formative educational experiences, ranging from the Sidwell Friends School and Vassar College, to University College London, the University of Cambridge, and beyond. Names are Named. Including some dedicated teachers, patrons, and friends, and some favorite libraries and manuscripts. Others, too, but that would be a longer program or a follow-up. Meanwhile, we offer a happy illustrated souvenir of A Visit to the Library Café. Tom’s invitation has inspired a series of reports and reflections, with the benefit, wisdom, and empathy of Hindsight, from the Research Group Archives recording for our website the remarkable series of Seminars and Workshops on “The Evidence of Manuscripts” which accompanied our first Research Project and launched our long-term program of Events and Conference Activities. As the series of reports has unfolded over the summer of 2016, some of our Associates have said that they wished that they had known about us then and could have attended. Here is a way to be there, and without the jetlag. Enjoy! “Quizzical”. Photography © Mildred Budny. Just for fun and pun, an interview with our CopyCat Editor In Residence, a lovely Purrsian cat who sometimes, when we have the occasion to house-sit for her, gives expert advice and encouragement for the preparations of our Events. Naturally, we serve as willing Lap for her as LapCat, while we work at the LapTop, all in LapTipTop Fashion. 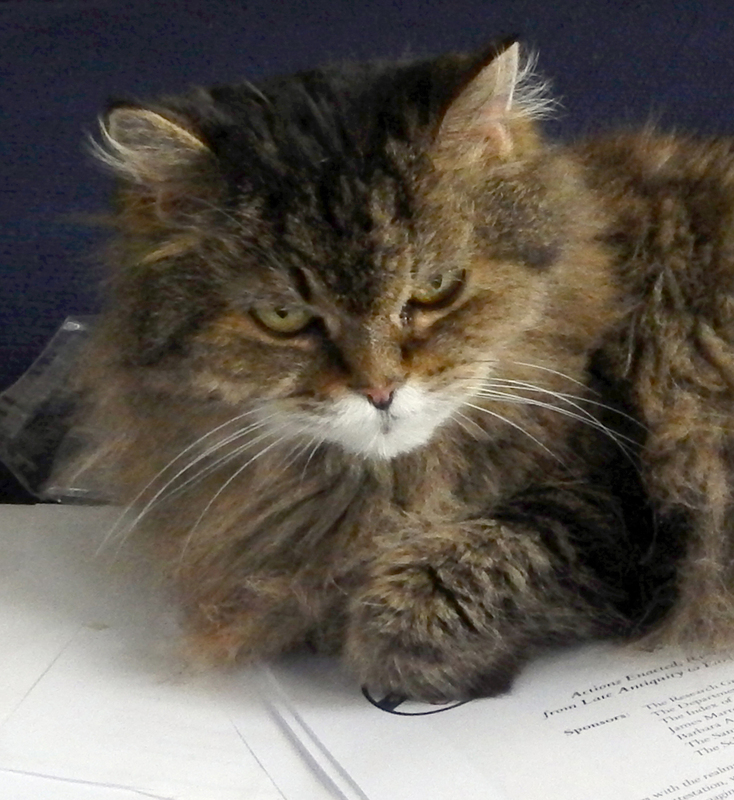 As volunteer CopyCat Editor, she often sprawls across our proof-sheets or photographs (with permission). In this way, she beautifully Lies Down On The Job. Our first exclusive interview with her — Center Fold in our blog — has led, by popular request, to the opening of her very own Fan Page. Congratulations to our Associate Claire Fanger for the accomplishment of tenure as Associate Professor in the Religion Department at Rice University! Her interests and publications are many and varied. Following her work over the years, partly through our collaboration in the co-sponsored Sessions with the Societas Magica at the annual International Congress on Medieval Studies, we gladly celebrate this next stage in her teaching and research. Congratulations to our Associates, Dr. Henry D. Schilb and Prof. Emerita Judith H. Oliver, for the publication of their articles in the collection of essays, edited by Susan Boynton and Diane J. Reilly, on Resounding Images: Medieval Intersections of Art, Music, and Sound (Brepols, 2016). Congratulations to our Associate Sean M. Winslow for the completion in November 2015 of his Ph.D. dissertation for the University of Toronto on Ethiopian Manuscript Culture: Practices and Contexts, now available for download. A publication we have been waiting for! For example, as we were preparing to launch our multilingual font Bembino, his request for Ethiopic diacritics expanded its scope fundamentally. We are glad for these requests. We welcome the publication of ‘The Mystic Lamb of Ghent: Aldermen’s Seal, Altarpiece, and Tableau Vivant‘ by our Associate and Webmaster, Jesse D. Hurlbut, in the collection of essays on Medieval Coins and Seals: Constructing Identity, Signifying Power, edited by Susan Solway (Brepols, 2015). 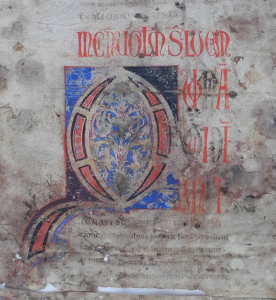 We learned of this paper through a preview, in connection with our own sponsored Research Project on Medieval Seals, Seal Matrices & Documents. Reading a preview of this paper with admiration, we have looked forward to its publication, now accomplished. It focuses on an intricate aspect of a complex, dynamic subject, which we find fascinating. We congratulate him on his move to the Karl-Franzens-Universität Graz in 2017. 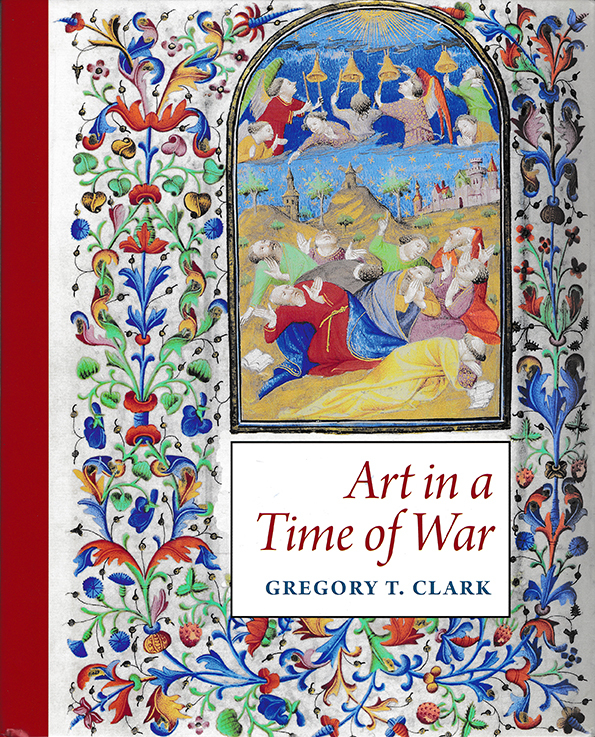 Congratulations to our new Associate, Prof. Gregory T. Clark, for his new publication of Art in a Time of War: The Master of Morgan 453 and Manuscript Illumination in Paris during the English Occupation (1419–1435 (2016). We have eagerly awaited its appearance. 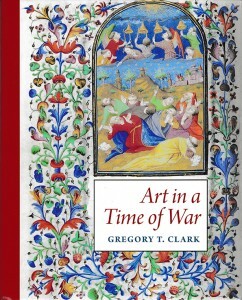 This richly illustrated book, published by the Pontifical Institute of Mediaeval Studies, grew from Greg’s doctoral dissertation (Princeton, 1988). 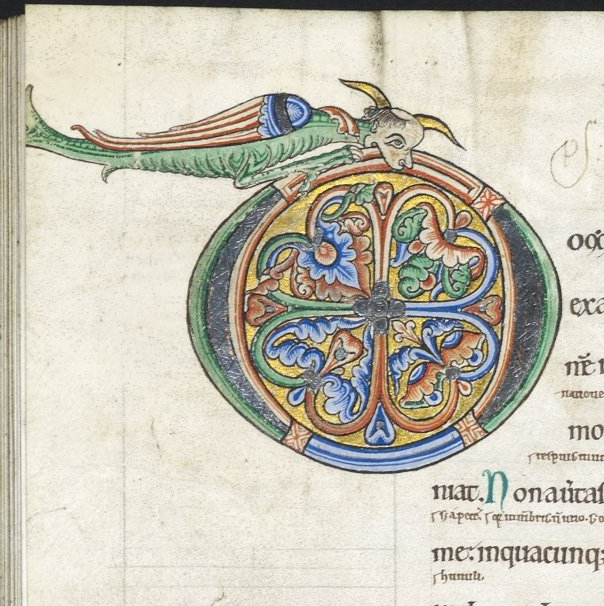 The analysis of so rich a range of manuscripts is illuminating indeed. We thank him for the gift of a copy of the book. Happily, we show the front cover of its dust jacket. 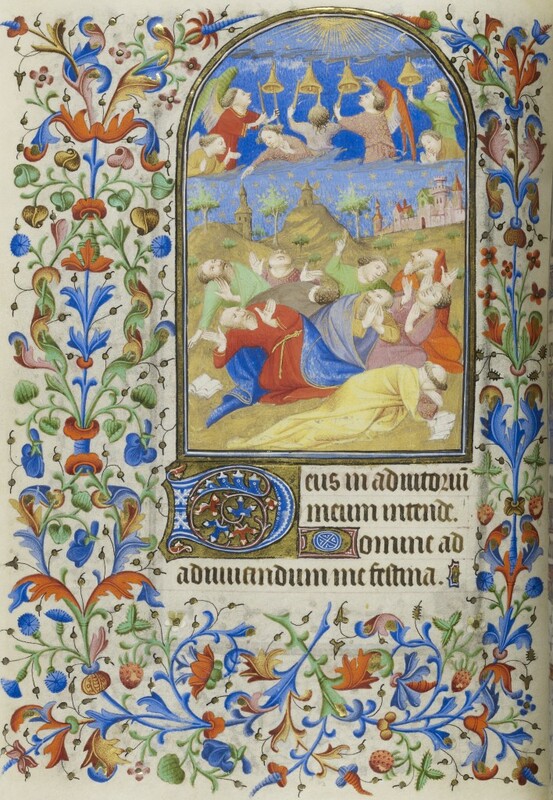 The image shows the illustration in a Book of Hours of the ‘Angels Calling on Jewish Men to Receive the Holy Spirit’ (corresponding to the Acts of the Apostles 2:43), painted by the ‘Master of Morgan 453’ in Paris circa 1415–1420. The illustration appears in New York, Morgan Library and Museum, MS M.1000, fol. 148v. We show its full page, and encourage you to visit the full series of illustrations in this book displayed on the Corsair website. The same Master’s work is also on view for Morgan Library and Museum, MS M.453, another Book of Hours in the same collection. Beautiful work. 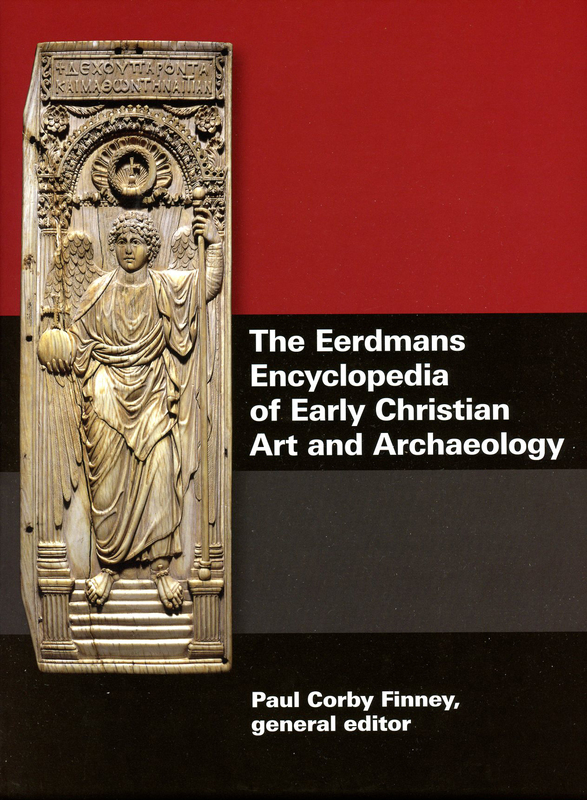 Congratulations to Paul Corby Finney for the magnificent set of illustrated volumes which offer a comprehensive guide to the complex, wide-ranging, and endlessly fascinating materials which represent the legacy, and challenges, of Early Christian Art and Archaeology. 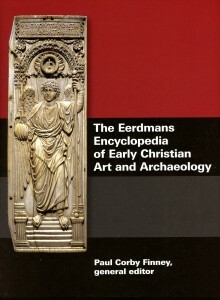 A labor of love, pertinacity, resourcefulness, dedication, and generosity, his editorship of The Eerdmans Encyclopedia of Early Christian Art and Archaeology (2017) has resulted, happily, in a substantial publication which graces our shelves in a prominent, and prized place. We thank Corby for his generous gift of the books, and we happily report that already they have become a regular companion as our researches and conversations about a myriad of subjects guide us to their pages for explanations, descriptions, bibliographical references, and directions for further explorations. Excellent! Congratulations to Herbert for the publication of his dedicated study of Moses the Egyptian in the Illustrated Old English Hexateuch: London, British Library Cotton MS Claudius B.iv (University of Notre Dame Press, 2017). 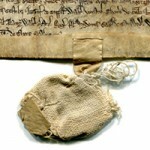 Until the online publication of the full digital facsimile of the manuscript in color, it was necessary to study it in person, in photographs, and/or in the full printed facsimile (Copenhagen, 1974, mostly in black-and-white). © The British Library Board. Claudius MS B. IV, folio 122v. Illustrations for Numbers 20:14. Moses strikes the rock, and more. It is a manuscript that we know well, from various perspectives, and for some time we have learned from Herbert’s conversations and lectures as this project advanced. For example, Herbert spoke about his long-term work toward the book for our 2014 Colloquium on When the Dust Has Settled. 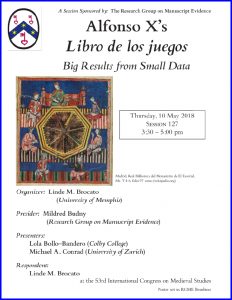 Its Booklet includes the Abstract for his paper, entitled “Me and the Man of La Mancha: Pursuing the Impossible Dream (Considering Moses in the Illustrated Old English Hexateuch)”. It is a treat to see the accomplished project! Congratulations to Valerio for the publication of the Dizionario dei sogni nel Medioevo. Il Somniale Danielis in manoscritti letterari. Biblioteca dell’«Archivum Romanicum» – Serie I: Storia, Letteratura, Paleografia, vol. 466 (2018). Valerio at the Podium at his ‘Dream Session’ for the 2015 International Congress on Medieval Studies. Thanks to Valerio’s skills, collegiality, and generosity, we have learned about this project along some stages of its preparation and refinement, through his papers and his session for us and the Societas Magica at the International Congress on Medieval Studies in 2015 and 2012, as well, magically, through his Booklet for his 2015 Session. Gladly we welcome this illustrated Booklet among our Publications. You may find it freely here: 2015 Congress Accomplished. We thank him for his inspiration, vision, expertise, and friendship. Valerio’s FaceBook Page for the published volume and its ‘appearances’ in various presentations, reviews, and notices allows us to keep up with its progress and its audience even after the printed publication itself: The Medieval Dream Dictionary. 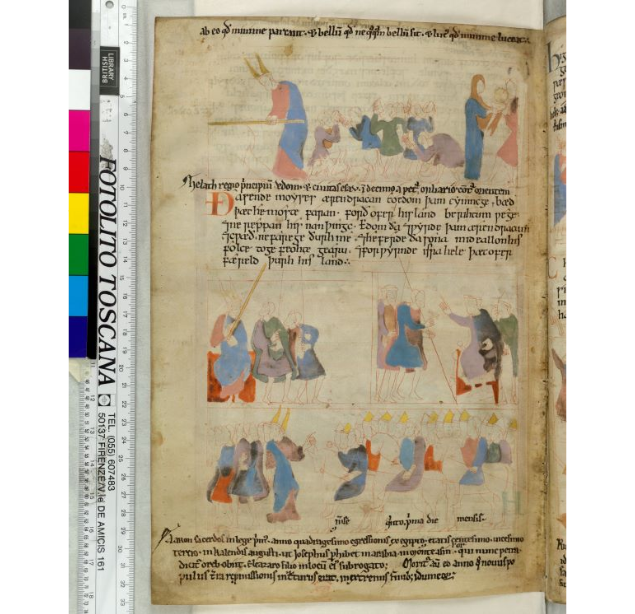 The Medieval Dream Dictionary, composed of entries coming from Latin and vernacular Italian versions of the Somniale Danielis – known as The Dreambook of Daniel the Prophet – which range from the ninth century to the first printed editions through 1550. This manual illustrates more than 3200 years of the history of dream interpretation from Ancient Egypt to today’s web pages. The Dictionary, which gathers this material for the first time, provides not only a better understanding of the medieval and Renaissance oneiric imaginary, but will also allow a practical introduction to the study of literary and artistic dream symbolism. With thanks for their contributions and support, we welcome the new Honorary Invited Associates in 2016–2018, here in alphabetical order. Our Associates are named in full here. So glad for their help! As part of our Activities at the 2017 International Congress on Medieval Studies, reported partly in the 2017 Congress Report and our Business Meetings, we created a new position and appointed our first Emissary. Congratulations to Stavros Stavroulias! An interview with our specially appointed CopyCat Editor describes her traits, habits, and contributions to our activities: Center Fold. By popular request, following this event, we formed the Mistie Fan Club, with her very own Fan Page. 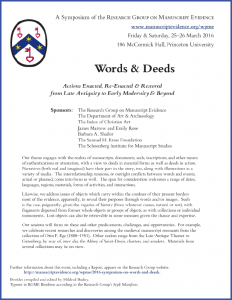 the Princeton Trustees of the Research Group on Manuscript Evidence (Appeal Letters). For their responses to our Annual Appeals in succession, we thank all our Donors, Sponsors & Contributors. 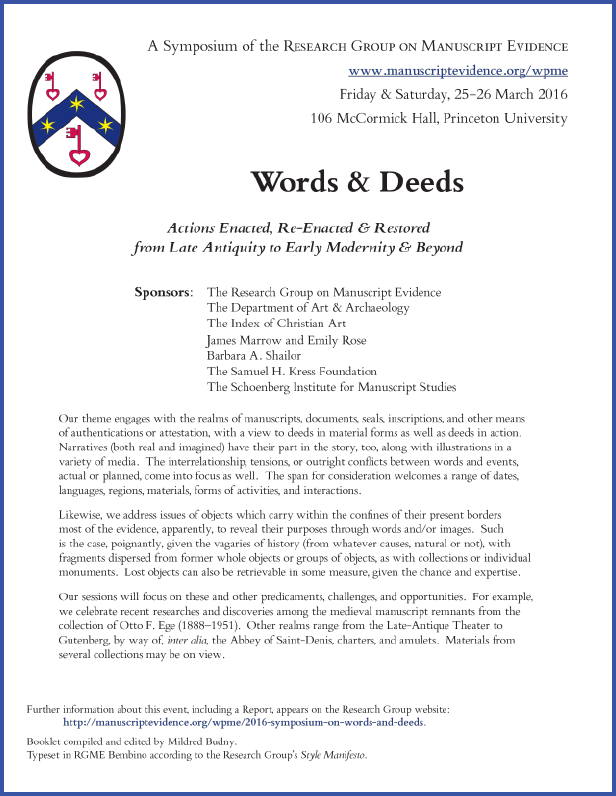 The Events sponsored and co-sponsored by the Research Group on Manuscript Evidence include seminars, masterclasses, exhibitions, workshops, colloquia, and symposia, which take place at various centers. 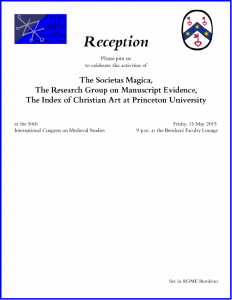 These events stand apart from the Congress sessions and other activities (exhibitions, meetings, and receptions) which the Research Group sponsors and co-sponsors at the annual International Congress on Medieval Studies, as reported in our Congress Archive. Our Events focus upon a wide variety of subjects and approaches, promoting discourse between fields of study and between experts, students, and the wider world. Updates and Reports appear in our Events Blog. For the first time, in 2016 the Research Group on Manuscript Evidence sponsored two Panels at the Conference of the Midwest Modern Language Association, held in November at St. Louis, Missouri. They were organized by Justin Hastings (Department of English, Loyola University College, Chicago). In keeping with the conference’s theme of “Border States”, it focused upon Marginalia in Manuscripts and Printed Books in North America. The success of these panels led to a continuation of the new tradition, with another sponsored panel at the 2017 Conference, held in November at Cleveland. 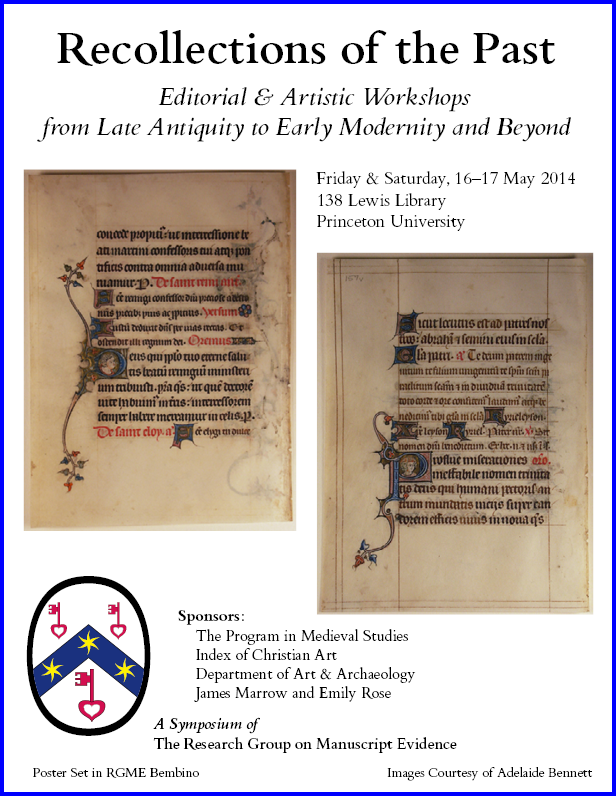 Organized by Justin Hastings, this panel focused upon “Artists, Activists, and Manuscript Evidence”. Its subjects, responses, and venue have an illustrated 2017 M-MLA Panel Report. You may Subscribe to the RGMEnewsletter and visit our FaceBook Page for news and comments. These Congress Activities include Sessions, both Sponsored and Co-Sponsored. Illustrated Reports describe the 2014 Anniversary Reception and the 2015 Reception, with an illustrated record of the Reception also at the 2016 Congress. The full series of activities at the Congress, their preparations, and updates, appears in our Congress Archive. As each next Congress Program comes into view, we announce the Preparations for our Sessions and Activities, including the Call for Papers (once the proposed Sessions have been accepted by the Congress Committee), and then we announce the Program (once the Call for Papers has completed its span and our selection has concluded). Updates where appropriate, for example as Room Assignments might change. Also, as is our custom, we aim to publish the Abstracts for the Papers, once the Program has settled into place, and as the Authors allow. The Indexes of Authors, both by Year and by Surname, provide a useful — and, dare we say? — impressive cast of contributors. We offer a full list (1990–) of our Publications. Many are available freely for download. The current version of our high-quality copyright digital multilingual font Bembino is available freely for download and use. You see it in practice here on our website. The newest version is 1.4 (April 2017). 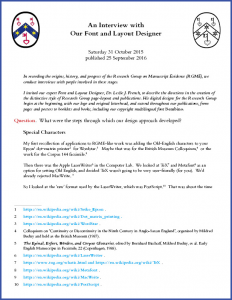 The first issue of the RGME-Newsletter ShelfMarks (Autumn, 2014) contains a review of the series volume on Patronage: Power & Agency in Medieval Art (2012) and the first two volumes ([formerly] available freely) of the series of Index of Christian Art Online Publications, recording the conference proceedings devoted to The Digital World of Art History, I (2012) and II (2013). The review appears here. 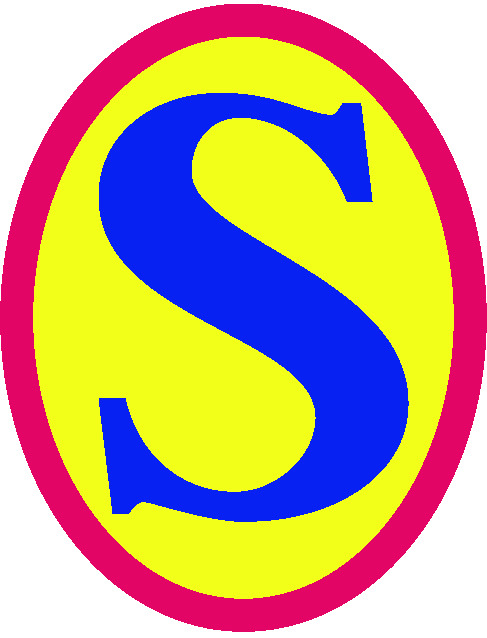 ShelfMarks, Volume 1, Number 1 (PDF). You might Subscribe here. On our website, we have begun to publish some Papers from our Congress Sessions. The first is David W. Sorenson’s Paper on ‘Semi-Official Counterfeiting within the French Mints 1380–1422 and What It Tells Us’, presented at the 2015 Congress. The paper is available freely for download. The second is Mildred Budny’s Paper on ‘No Snap Decisions: Challenges of Manuscript Photography’ at the 1995 Congress. In the form of a webpage, this publication combines the Abstract already published in 1994 with the Paper itself, plus added links, notes, illustrations, observations, and updates. Some recent Publications are listed above, among the Reports. for our largest publication and co-publication so far. 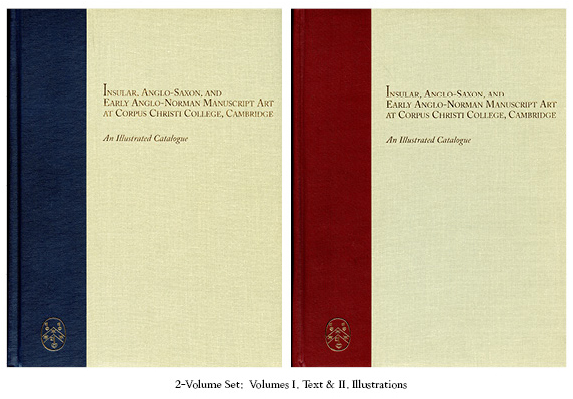 at Corpus Christi College, Cambridge (2 volumes). See the details of the Promotional Offer. 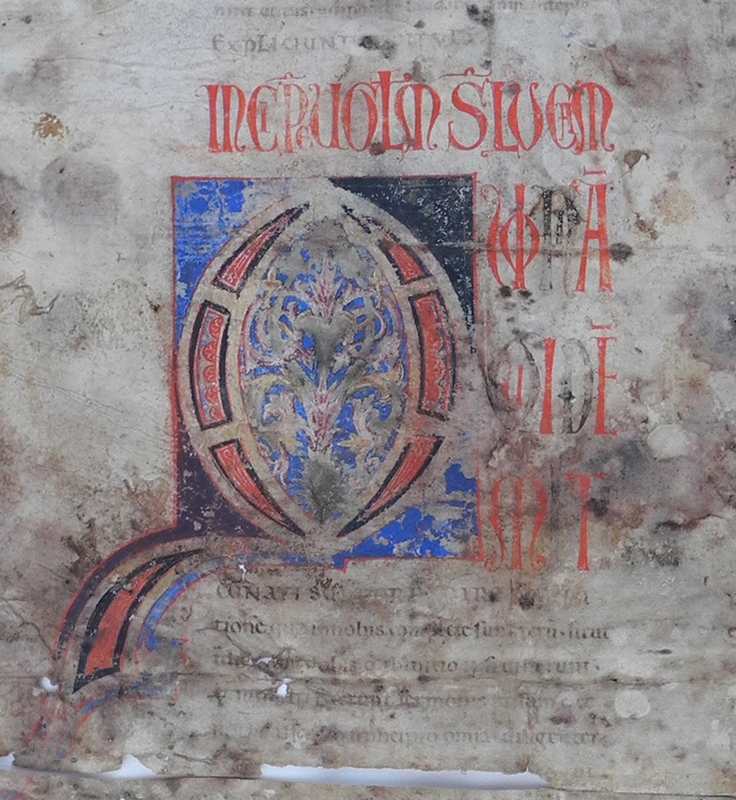 Several years in the making, our Illustrated Handlist describes and illustrates the items from a cumulative assembly of medieval and early modern manuscripts, documents, and printed materials which have undergone conservation, photography, and detailed research by Mildred Budny. The unfolding publication of the Handlist, in stages, includes some detailed Reports of individual Items in our Blog on Manuscript Studies, as indicated in its Contents List; in some Papers for our Congress Sessions, as indicated among their Abstracts; and elsewhere. 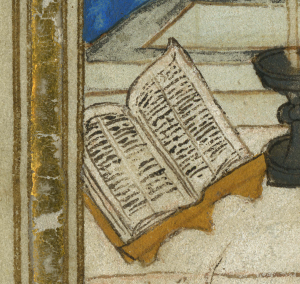 language (Latin and/or vernacular, with 1 addition to a Latin early printed book in Greek). Within each part or section, the sequence is more-or-less chronological, insofar as dating criteria are available. 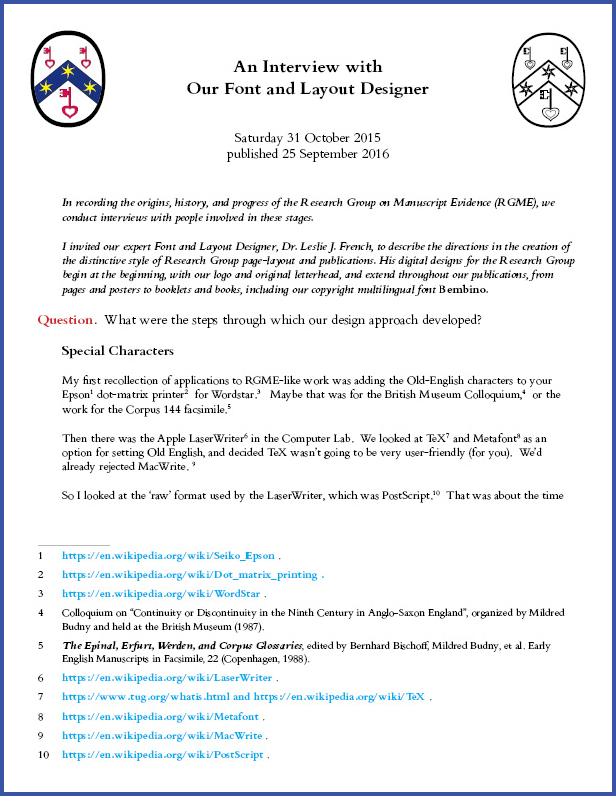 Our Manuscript Studies blog (2015–) continues to grow, now with its own Contents List. The posts for 2017 and 2018 continue to appear. See the blog and the Contents List. Watch for more to come. Follow the blog and see its Contents List. As the Research Group continues to report its history, sampling the records of its activities for presentation on this website, we notice some highlights among recent posts and pages. These Indexes perform similar services for the Events as do those (already in place by 2015) for the Congress Papers. 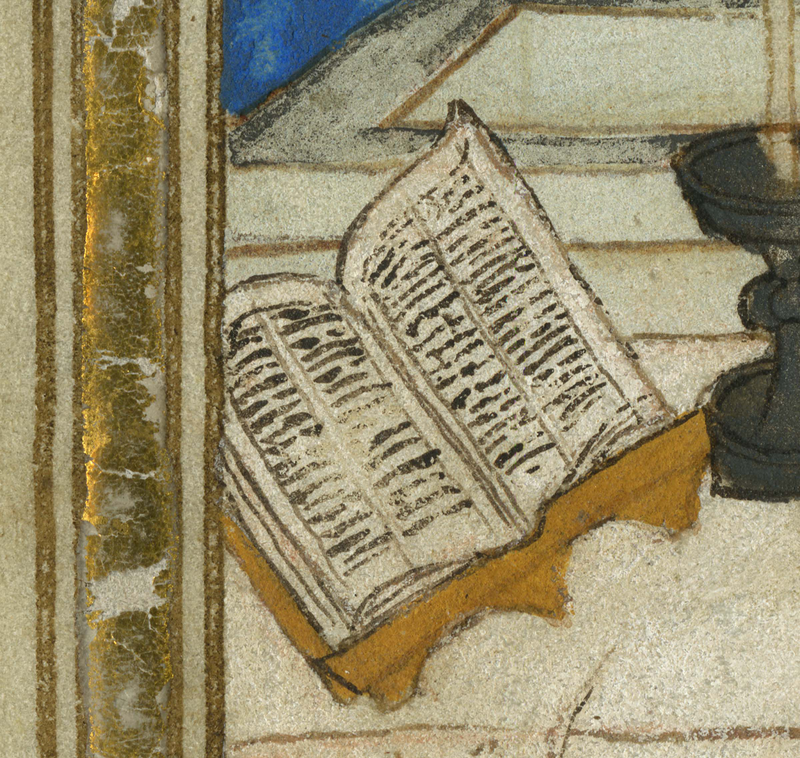 view our blogpost on The Mass of Saint Gregory, Illustrated. 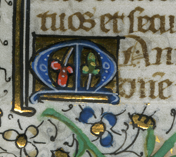 We thank Joshua O’Driscoll of The Morgan Museum & Library for aiding our exploration of permission to reproduce the image from MS M.1000, shown above. The image at the top of this post shows three lines from ‘Ege Manuscript 41’ (subject of one of our blogposts), reproduced by permission. Within the Dialogues of Gregory the Great, in Latin, they open Book III, Chapter 13, which begins Nuper (‘Recently’), and considers things worthy of memory. Awards or promotions to celebrate? 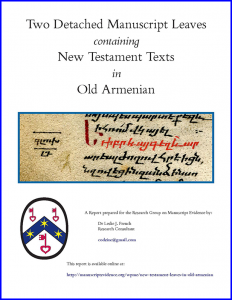 New publications to mention, whether books, articles, reviews, notes, or other forms? Would you like to send a copy of your publications to us? For example, we welcome donations to our library, and we look for publications to review or discuss. We gladly cite the publications which emerge from the Papers for our Conference Sessions, Symposia, and other Events. Examples include the papers by Ortal-Paz Saar and by Ida Sinkevič from the 2013 Symposium on ‘Identity & Authenticity’ and by László Sándor Chardonnens from the 2013 International Congress on Medieval Studies. We add these citations as we come across them or as you provide them. Please send notices of your publications to let us know when they appear. Acknowledgments are always welcome. As the Research Group is a recognized nonprofit educational corporation, your Contributions and Donations may be tax-deductible. Please Contact Us with your suggestions and improvements for the News & Views.